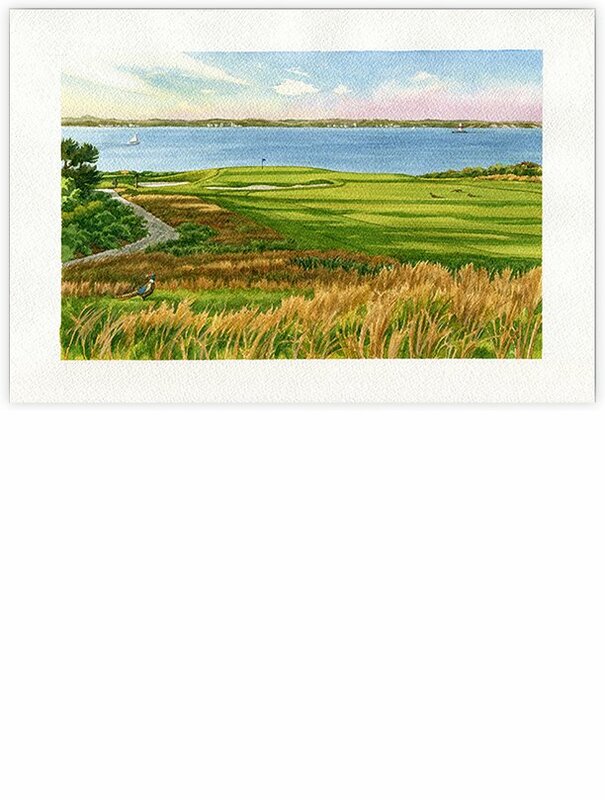 We have created a print to Lee’s Fisher Island Club original. One of the coolest golf courses anywhere, the “Pebble Beach of the East”, is a 1926 design by Seth Raynor that has been wisely left untouched and perfect. It was very difficult to choose which hole to paint – Lee finally selected the 9th hole with the view of the lighthouse. We have created a print to Lee’s Fisher Island Club original. One of the coolest golf courses anywhere, the “Pebble Beach of the East”, is a 1926 design by Seth Raynor that has been wisely left untouched and perfect. It was very difficult to choose which hole to paint – Lee finally selected the 9th hold with the view of the lighthouse.